Good morning from Liberty Online Church. We are a Christ-based ministry reaching out to those of all walks of life, including those turned away and condemned by other congregations. We're a church for sinners seeking redemption. We're a church to help those in need. 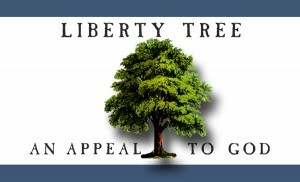 If you'd like to find our group on Facebook do a search for Liberty Online Church. We operate on the internet. We run things from our facebook group where we post sunday sermons, speeches, Bible quotes, and Bible information. We also offer encouragement to church members through the group. So if you'd like to be a part of that, please find us on facebook and join up. And Thank you for being here for our Sunday sermon. Jehovah God, my Father, our Father, We ask you to join us today as we get into your word. We feel your nudges Lord, that push us toward you. We acknowledge your presence in our daily lives. Your sons life is a testament to perfection. Help us to become holy, each day, as we approach the next life. In Jesus name, Amen. No one can condemn you but God almighty. No one else can do that. No human authority has that right. Only God has that right. And God is right in all things. And he's just in all things. He's so full of love. He's so full of truth. And he likes you. He feels something special for you, because you're his special possession. You're part of his chosen people, if you've chosen to serve Christ in your life. And please don't be mistaken. I'm not here to tell you that God's going to serve you, or give you great wealth because you're his. I'm not going to tell you that love is God and we're all one either. God doesn't serve us, we serve him. We're his creation. We didn't think the universe into being, God made it with his voice and his hands. Great wealth is certainly possible for some Christians. We know God rewarded Solomon with great wealth and prosperity because of his request for wisdom in prayer. But that's not going to be everyones walk with Christ. And we don't need wealth of the material anyway. Because we have wealth in here. Wealth more than all the dollars floating around the new york stock exchange. Right here, inside. That wealth is peace with God through Jesus Christ. That wealth is serenity in the storms of life. That wealth is constant contact with Jehovah our God. That wealth is the promise of eternal life. And David danced before the LORD with all his might, wearing a priestly garment. I really like how David responded here. And hasn't that happened with a lot of us? We go too far in others eyes, and just let free our worship of God. Like the people at church who lift their hands to God as they sing. I'm sure a lot of the congregation are thinking, wow, look at how self righteous they are. And I've heard that a lot. Like "who are they to do that" "who are they to break the unspoken rules of how you should act" I can't stand those taboos personally. I really can't. I get nervous sometimes when my family and I pray at a public restaurant like oh what are the other people around here going to think? Well.. you know, who really cares what they think? I care about what God thinks. I care about how he feels about my worship. If I'm praying really loud, and drawing attention to myself thats one thing, but if I'm praying at a reasonable voice level and just letting out to God, then it's great. It's fine. David's response is great. It was before JEHOVAH that I danced, not your dad or your family or anyone else. And then he says I WILL celebrate before the Lord. And I'm not even done with just dancing, I'll do even more publicly embarassing things to show my God I'm NOT ashamed by him. And he said in his own eyes he'll feel weird about it, but the people of Israel will know that I'm honorable. Michal may have been jealous. And that's fine, that's fine. But understand David, your husband's heart. He's a man with passion for God. Don't step in his way when he lets loose in a difficult way to show his love. How do we show our love for God? Many of us pray and give thanks. And that's great. Keep going with that! But there are other ways we can show our passion for God. Singing is one we do a lot, at church. Dancing? Hey, why not right? Moreover, I will give you what you have not asked for--both wealth and honor--so that in your lifetime you will have no equal among kings." God granted Solomon wealth and honor because of his request for discernment, wisdom. When we ask god to search us and make us right within, he in turn grants us honor. And that goes again back to what we were talking about the last few weeks, self examination in the Christian life. That's what I try to tell younger people, especially teenage male Christians. Because I know at that age I thirsted for honor. I wanted to be a hero. I wanted to be a chivalrous warrior. But maybe I'm out of date now. Maybe this isn't the 90s anymore. Maybe with the things kids see in the media these days, all they thirst for is to be a gangster, for fame, wealth, women, drugs, and parties. Heavenly Father, please, say that isn't so. Say that these young people rising up, men and women a like, still long deep down for an honorable life with their creator. I hope and pray this is still true in the young people of today. And I'm sad to say that those are reasonable fears today. People are good at minimizing the impact media has on their children. They like to pretend it's not going to impact their children. How couldn't it? I know, you don't want to believe that we live in a society that has fallen far from God. But.. it has. It's plainly obvious. It's a hard truth to swallow, but there it is. And that truth isn't going anywhere. We can arm ourselves against it, or fall victim to it by conveniently ignoring it. But you know what? This may be the truth for some, even many. But it's not the truth for all. I see a revival in the church. It's not something talked about either, and never fulfilled. It's something happening before my eyes. Even in my small area, I see young leaders rising who are getting back to the foundation of the truth, which is the Bible. They're passionate, you can hear it in their voices. They love God with a passion that burns strong within. They're not interested in the old traditions that kept them disconnected from God. They're interesting in breaking through that, because they did personally, with a push from God. And now they want to share that. And seeing those leaders emerging, I want to be a part of that as well. I thought of the ornate golden temple of the Pope always, when I sat at some churches. At the new churches I see, I think of Moses in the wilderness, and the tent. Very meager, very modest, but full of not human power, but of God's power. God showed us again and again that he doesn't need anything but a willing vessel. When David killed Goliath he did so with nothing but a sling shot. Samson slew 1,000 philistines with the jaw bone of a donkey. Gideon drove back the Midianities with 300 men, a few torches, and a lot of noise. It doesn't take millions when we have God on our side. It takes a dedicated few being empowered by God. As I see it, we have a cover up going on in the modern church. I wonder, what god are they worshiping? They seem to treat sinners with contempt, and expel them from their churches. Christ never allowed this. He lived and ate with the sinners, they approached him for forgiveness and he gave it. Not only that, but he would then call them to minister to his purpose, his purpose that is being fulfilled to this day: making disciples of all the world. I do not see that kind of love in the modern church. I see condemnation, and I ask, do we have a God, who sees a man or woman suffering, and living in sin, and when they call out to him for mercy and for love, that he would instead condemn them, and turn them away? I do not know that god you speak of. I know the one true God, named Jehovah, who loves the world with a mighty power and cares for the world, but not only on such a scale, but he cares for his people individually. And when his people call out from their place of sin, he delivers them from it. We see this again and again in scripture, old testament and new. Why is it so hard to understand? You've been lied to about who God, Jehovah, the creator of the universe really is. He's been sold as a angry, cruel, condemning, destroyer. But instead, within the pages of the Bible, you will find he is a loving, gentle, peaceful, and caring God. A God personal to you. A God who came to earth personally in human form to sacrifice himself to rebuild a relationship with his people. That's the God I know, and that's the one you ought to introduce yourself to! So knowing that God loves you truly and does care for you. And seeing that on our own power we have nothing, and everything goes wrong.. Why not turn to him? And why not, once we've turned to him.. why not help him? Join me in this revival. Join us. Join God in this revival. Let's talk about how we do that. Continuing from the last few weeks when we talked about self examination, and now helping others, I'd like to go over some ways we can effectively minister to others, to our family, friends, and to strangers. Alright, so we're gonna go over quickly, 10 steps for ministering to others. And these are just suggestions, not rules. Thankfully, there's not four books required reading on ministering to others. There isn't a manual 300 pages long, and ten pamphlets to go over, and a list of fourty eight rules to obey, and three qualifying interviews with lead staff at the church to make you "ready" to do it. It doesn't take a year and a half to make you ready, studying this, paying dues, making pledges, ecsetera, ecsetera, ecsetera. That's where so many churches get it wrong. They put new leaders through so many books, and interviews, and studies, and sheets to fill out that before they're even halfway through they get frustrated and just pass on it. And such programs and churches ought to look to John 7:24 which states ": Stop judging by external standards, and judge by true standards." Those are the words of Jesus to a crowd who were saying Jesus had a demon in him! Jesus was trying to teach them that it's OK to do miracles on the sabbath. And for us, it's also OK to minister to others without going through a 16 week training program. Sometimes I think these rigid, condemning churches are still trying to fulfill the law after two thousand years of ALREADY HAVING IT FULFILLED THROUGH JESUS. Of all the people God called throughout the Bible, did any one of them, even one, have to fill out four sheets, go through two one hour interviews, and read six books on evangelism? That's right, none of them did. Not one. God qualified them, God brought them up through EXPERIENCE training, and God set them on the path of ministering to others. And all the while, the religious leaders of the various times pointed to these prophets we now revere, and said, "You can't be doing that! You need to read these four copies of this here, and be ordained by us over here, and bow down before the high priest, and go to school for X amount of years before you can do that!" But God just said, don't listen to them they're hypocrites, farces. If God doesn't want you ministering, he probably won't let you. He'll cut you off from chances to do so, unless someone can learn from the poor example. And if he does, which I have to believe for most of us, he does, then he'll send you out. And face you time after time, with chances to spread his good news. The good news of Jesus Christ. And maybe I'm a little upset that I was confronted with church after church that had exhaustive qualifying processes for their leadership programs. But at least I'm upset because those processes are unbiblical, farcical, and drive away true qualified believers en masse. So.. ten suggestions, backed up by scripture, that may help us minister more effectively. Once again, just suggestions. There won't be a quiz later, and I won't be personally interviewing you to make sure you're ready. God makes you ready, and God declares you ready. Not me, and not anyone else. 1. Be Prepared 1 Peter 3:15 But in your hearts honor Christ the Lord as holy, always being prepared to make a defense to anyone who asks you for a reason for the hope that is in you; yet do it with gentleness and respect. It's important to be prepared when ministering to family, friends, or strangers. Go through the Bible and write down quotes that really touch you. Think about why you've become a better person through faith. Tell them what you like before and then after your faith. Using quotes from the Bible is OK, but remember many strangers you'll approach won't know anything about the Bible. Be sure to start with the basics. 2. Be Polite Colossians 4:6 Let your speech always be gracious, seasoned with salt, so that you may know how you ought to answer each person. It's always advisable to be polite. Patience is also extremely important. Don't get angry or disgusted with them. Remember that everyone has trials and tribulations. The person you're approaching may have gone through a lot. Listen and learn about them. Talk to them as a friend would. Use proper language, and be nice! 3. Let God speak through you Matthew 28:18-20 And Jesus came and said to them, "All authority in heaven and on earth has been given to me. Go therefore and make disciples of all nations, baptizing them in the name of the Father and of the Son and of the Holy Spirit, teaching them to observe all that I have commanded you. And behold, I am with you always, to the end of the age." Acts 1:8 But you will receive power when the Holy Spirit has come upon you, and you will be my witnesses in Jerusalem and in all Judea and Samaria, and to the end of the earth." If you've accepted Christ and are active in your faith, don't worry! God will work through you. I always say a little prayer in my head before I approach someone. I ask God to give me the right words and to speak through me. I recommend saying a prayer before approaching anyone. And once you've finished your dialogue with someone, pray again that they will be curious about the Lord. Don't worry, the holy spirit will guide your actions and words. 4. Show your joy and peace Romans 15:13 May the God of hope fill you with all joy and peace in believing, so that by the power of the Holy Spirit you may abound in hope. Tell them about the changes in your life. Tell them how much better you feel now, with God working in your life. I remember when my grandfather ministered to me about the truth he had a big smile on his face. His body gestures and tone showed a new joy and peace in his life. Don't be afraid to show how peaceful and joyful your life is. You could list examples of how your life has been positively impacted by spiritual pursuits. I remember after I spoke with my grandfather my first thought was: I want what he has! 5. Let your life be an example Matthew 5:16 In the same way, let your light shine before others, so that they may see your good works and give glory to your Father who is in heaven. I am a firm believer that showing people by example is extremely powerful. I know that if I see someone who I once thought to be doomed or lost reborn and rejoicing in the Lord that's a powerful experience! People will see the good works you're doing and think "wow, I wish I had that." Be sure to dress properly, but I don't recommend dressing too formerly either. Just make sure you're properly groomed. I've found that in street ministry a lot of the information about crucifixion and creation can be confusing to new comers. A universal truth that makes sense to everyone is that Love is powerful. Let them know that God loves them unconditionally. There is no condition. God loves us whether we follow him or turn away from him. He still loves us either way. So let them know! Something deep within every human being wants to be loved. Share that truth. 7. Don't judge them James 4:12 There is only one lawgiver and judge, he who is able to save and to destroy. But who are you to judge your neighbor? Get off your pedestal immediately before ministering. James 4:12 makes it clear that we are not to judge our fellow man. I know that some verses suggest judging those within the church, but that does not include non-believers. The worst thing you can do is be up on a high horse about how much you know, or how much better you are then them. Be open and be sure to listen to their story intently. 8. Freedom from Sin Romans 6:23 For the wages of sin is death, but the free gift of God is eternal life in Christ Jesus our Lord. If the person you're ministering to is lost in sin and troubles, let them know that there is a way out of that. As I said earlier, do not judge their actions no matter how terrible, for we are all sinners. Let them know that through a spiritual life with Christ their burdens will lessen. You may want to let them know that God often gives non-believers difficult trials so that they may learn to know the love of God. You may want to tell them that being with God frees us from our addictions and immoral behaviors. Let them know that this life is temporary and our rewards await us in the next life. Many non-believers simply think that there is nothing after death. The way I approach them about this is using a technique I called perfect moments. I tell them about times when I just stop, and look all around me and see just how perfectly everything fits together on earth to allow for the existence of life and civil society. I tell them that in those moments I know that there is more to life than meets the eye. This is an example of just being totally real with them. Don't stand from the pulpit preaching doctrine. Get into the little things that changed your life for the better. Use examples from your life that caused you to believe. 10. Offer resources and invite them to services 2 Timothy 3:16-17 All Scripture is breathed out by God and profitable for teaching, for reproof, for correction, and for training in righteousness, that the man of God may be competent, equipped for every good work. See? It's not that complicated is it? In fact it's pretty simple. And what we don't know, God works on us. And adds it to us. His holy spirit pushes the truth through us. Isn't that cool? I wanted to share a story with you. About a girl I know, a friend of mine, whose been having a lot of trouble. Shes a young, attractive girl in her mid twenties. And lately after being sexually assaulted by a friend, shes been struggling. To deal with the pain of that, she turned to drugs and alcohol. I've been praying for her, many of my friends have been praying for her, and something very powerful happened recently. She was down in Madison, and she experienced yet more traumatic events. She was trying to get back from Madison to here in Wausau to stay with family, but her roommates had been persecuting her. She found herself with no escape, no one able to come get her out of the terrible situation she was in. I would say chance happened upon an opportunity. But it was something else entirely. She was taking a cab from the hospital. The cab driver noticed she was really upset. He asked her, "are you ok?" And she burst into tears, and told him everything that had happened and was happening to her. She couldnt find a ride home, nowhere to stay, troubled and lost. And he invited her to stay with him. Having nowhere else to go, she went there. And the next day he gave her a ride home, 3 hours back to Wausau, free. And heres the catcher. On the ride back, he told her that several years ago he was driving a girl home in his cab. He could tell the girl was upset, but when she asked him for help he couldn't bring himself to help her. Later he found out she had committed suicide. And ever since that day he had been filled with guilt over not helping her. On that day, God brought a cab driver into a young girls life. A young girl who needed help. And a cab driver who needed redemption. That's the kind of God we have. A loving and compassionate God. A God who answers prayers. I want to thank you for tuning in for our sunday service. Have a beautiful sunday, and go in peace.